Every parent all over the world wants to secure highest comfort and hygiene of his/her beloved little baby. No parents want to compromise with the comfort issue of their babies. One of the most challenging issues for the parents is to keep their babies always dry and clean, because for a certain age babies are not capable of potty training. Here comes the necessity of the diapers. Typically new born babies up to 2 years of age babies need diapers. There are few types of diapers, mostly used are – cloth or washable or re-usable diapers, disposable diapers, urine pads and adult diapers. 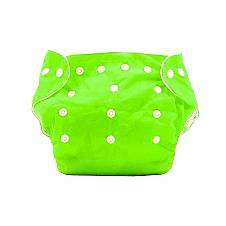 These diapers generally made with cotton fabric or polyester. 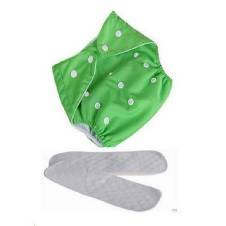 Cloth diapers are typically made with absorbent fabrics like cotton, soft flannel, wool or other materials. Most of the cloth diapers are made in a way that those can be washed and reused. Traditionally, cloth diapers consisted of a folded square or rectangle of cloth, fastened with safety pins. Today, most cloth diapers are fastened with hook and loop tape (velcro) or snaps. Disposable diaper is usually made by two sheets of non-woven fabric having an absorbent pad inserted in between. 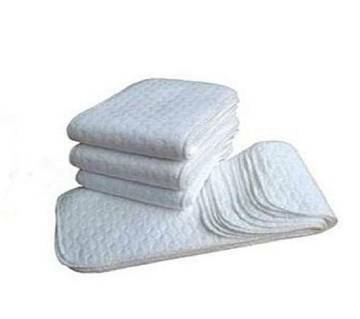 Chemical crystals are used to make the pad absorbent and this pad can absorb liquid quick enough. Some brands, such as Pampers, have different sizing measurements. Size is dependent upon the baby’s weight and typically gives 12 hours over-night protection. Adult diapers are used by grown up persons. These diapers are handful in few conditions like people with Alzheimer or dementia, diabetes, incontinence etc. Adult diapers are made in various forms, including those resembling traditional child diapers, underpants, and pads resembling sanitary napkins (known as incontinence pads). Keep your baby comfortable, dry and rash-free all the time with our collections of baby diapers. Choosing the right diaper for your babies is one of the most important factors for your baby’s comfort. Explore and choose from a wide range of baby diapers online available at Ajkerdeal.com. Now your baby can sleep soundly all night with babies’ dry pants which gives your baby 12 hours protection. Its quick absorbing layers wick away moisture to keep baby’s skin dry. We provide all sizes from small to XXL according to the weight for your babies comfortable fit. All types of diapers are available at our site including cloth diapers, regular diapers, dry pants, baby wipes. Compare to regular diapers, our diaper pants have unique features like all around softness, breathable materials for best skin comfort, infused with mild lotion. Our baby wet wipes are made with the simplest formula ever to give your babies delicate skin a super soft and safe clean. Shop online for the best brands like Huggies, NeoCare, Johnson’s, Pampers, Mamy Poko and many other brands available at Ajkerdeal.com. We bring constantly innovative products to give your baby a gentle protection. Turn your shopping for diaper from a hassle to a pleasure buying online from Ajkerdeal.com. AjkerDeal has the biggest collection of baby and kids item online in Bangladesh. For having best deals on baby foods, baby toys and school stationery products you can easily rely on ajkerdeal.com. You can buy products with easy refund policy and cash on delivery. Our home delivery is the fastest and we only collect products from trusted merchant.